This ensemble was inspired by a lovely lady passing the crosswalk in front of my car this week. She combined black culottes with a patterned blouse, tan cocoon coat, black hosiery, black booties and brown bag. She was a brunette with olive skin, and looked good in the combination. The proportions of the combination are “volume on volume”, and not traditionally flattering. But with structure in just the right places, you can achieve a look that is just flattering enough. It’s a common look on catwalks, and nice to see on the streets of Seattle. Remember that culottes come in many variations. The silhouette can be full, much like a split flared skirt. Or more streamlined, which the industry is calling “wide cropped pants”. We also know them as gauchos. The narrower culotte is easier to style and has more structure than its fuller cousin. I’ve used a colour palette similar to what I saw on the street, but feel free to use any colour spectrum. I added tomato red to the look, because it makes me smile. Culottes: Choose a fuller or narrower silhouette. Denim culottes will also work. Make sure they are sufficiently short so that they look intentional. The right length will add structure to the outfit and lengthen the leg line. Two to three inches above the ankle bone is fab. Top: Choose a blouse or pullover that works with the silhouette of the culottes. Tuck or semi-tuck a fluid top. Boxy cropped tops are also good. Think patterns and embellishment. Garden florals and embroidery, for the win. Cocoon Coat: Layer a cocoon coat over the outfit. Make sure the coat is fitted on the shoulder and tapers at the hem. Leaving the coat open in front adds vertical integrity to the outfit by creating a line down the centre front of the body. Cocoon Coat Substitutions: Try an unbuttoned peacoat, long cardigan, or trapeze jacket if you don’t have a cocoon coat. 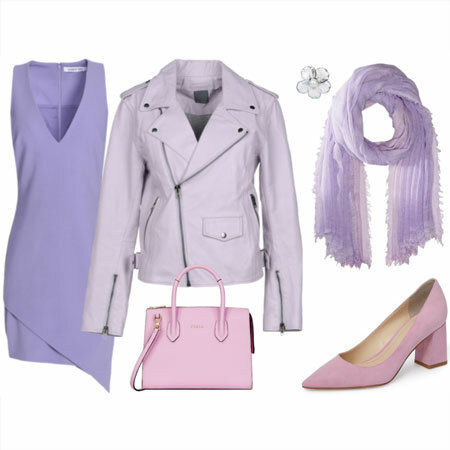 Footwear: Choose Mary Janes, booties, oxfords, flats or pumps in a colour that works with the outfit. Add hosiery for warmth. Accessories: Throw in a fun bag. Tie a bandana or neckerchief to the bag for Maximal effect. Add a floral pin to the coat, and amp up the jewellery for another nod to the Maximalism trend. Add eyewear, watch and headgear as desired. Yes! I can shop my closet to give this a whirl with my NAS black Halogen crops. The cocoon shape would add much to the silhouette and proportions. Like the tops, too. Thanks! I’m heading to a comedy show tonight, and you just might have created my outfit for me, Angie! I’ll post if it works. I love this street-inspired ensemble. 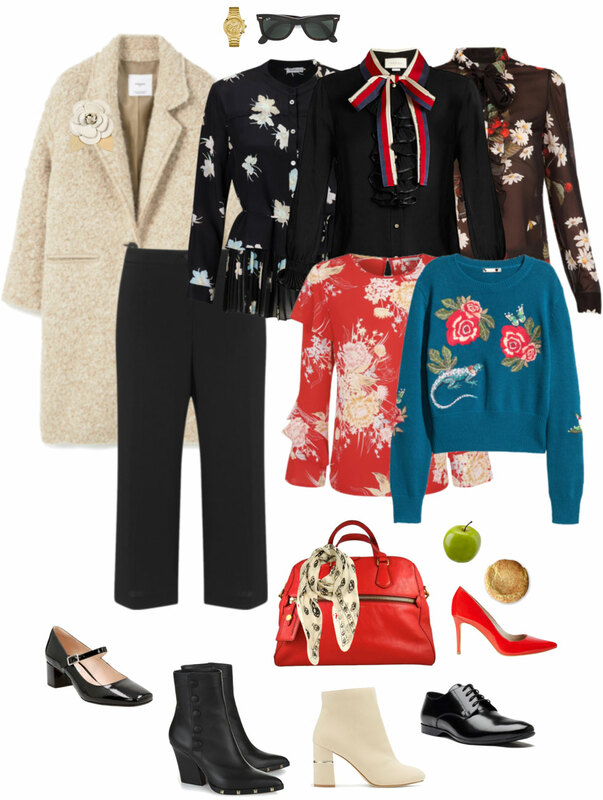 An ensemble like this makes me look forward to winter, I am loving the REDValentino blouse – dark florals seem to be a recent passion for me! Oh we that’s oretty. I’m loving the tops. An interesting and challenging ensemble. Tanya, I hope that you will share photos. Your outfits sound lovely. Angie, I like the addition of the low contrast flower broach on the coat. Such pretty florals! Looks as if those may be a spring trend. Goes with the whole maximal thing. I have worn a version of this a couple of times, by default — simply because I really struggle to find coats that work at all with my culottes. This winter I have mostly worn them with my J. Crew lilac coat, which has a “cocoon” type silhouette. I must say that I don’t feel perfect in this combination. There are a couple of reasons. First, my height (shorter). I think this look tends to work better on taller women and I notice most of your versions include a heel, which I think helps most of us. 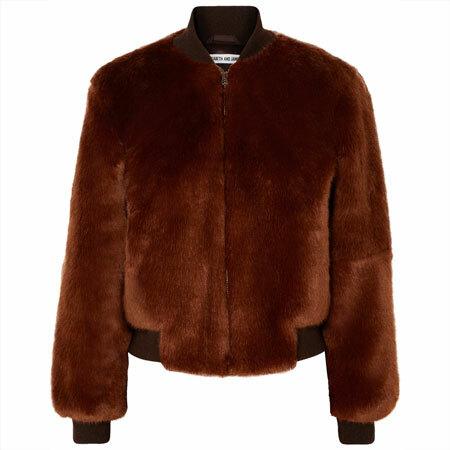 Second, the colour of my own coat makes it a bit tricky — it calls a lot of attention to itself. (I love the colour — don’t get me wrong! — but it needs the right partners). Finally, there is no way I can wear a coat open in my weather! So no long line up the front in that way. This means that there is a lot of horizontal cutting on the legs — my shortest part — so it’s really tough to wear successfully. I’d do best with a coat the same colour as boots and culottes, and I would LOVE to wear that outfit!!! Alas, I don’t have the precise ingredients. Very interesting ensemble, I like the idea. Great ensemble. I will have to appreciate it on others because i don’t own any culottes lol. I like the idea too, and can’t wait to see it on someone here! I don’t own a thing that would make this statement myself. Hope Vivian posts hers!! I think I have most if not all of the pieces necessary to put this look together. I’m inspired to give it a try! YAY. Glad to hear that you’re inspired. Eliza, your outfit sounds fab. Viva, I hope we see your outfit on the forum. Have fun at the comedy show. Tanya, LOTS of possibilities for the look with your wardrobe items. I’m excited to see them, and am sure you’ll pull off the maximal looks with panache. Bijou, you’d look great in dark florals. Joy, floral pins are a nice touch, aren’t they. Sus, YES. Garden Florals are a huge Spring & Summer trend – and I’m loving it. I hear you on the tricky proportions of this combination. Low contrast colours, an open coat, heels, and just enough structure in other places of the outfit can be hard to achieve. SarahF, great to hear, and I hope we see your look soon. It’s going to be 84F here today so I will have to hold off on this fab combination until it cools off a bit more! I think I have the pieces for it, though! I’ll have to enjoy this look on others as the only culottes I have are summery and I don’t have a cocoon coat. It’s a really fun looking ensemble though, and I can’t wait to see some renditions of it on the forum! 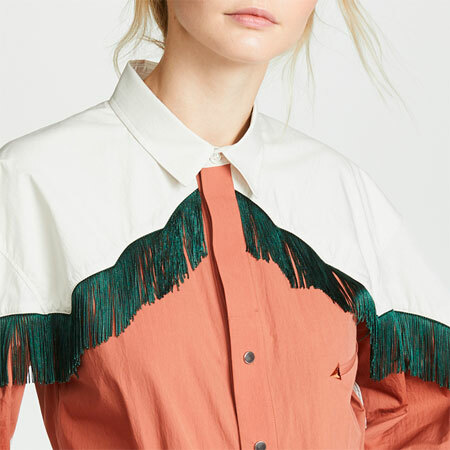 PS – I want that Valentino blouse! The floral tops are beautiful. I love the one with the chameleon! Lovely! Like Suz, I feel like this would be difficult for me to pull of. I think I would feel overwhelmed by the volume and just not myself. For those looking for pretty florals, keep an eye on Club Monaco. I’ve picked up a couple that I love in the last few months. I’m sure there will be more coming as the new inventory continues to roll out. Street inspiration is so much fun! Gorgeous floral tops! I’ve bought my first pair of cropped widish leg pants (I’m a very slow adapter to this trend) – but more for spring/summer wearing, so won’t be pairing them with a cocoon coat. Awesome! I can actually do this one! I’m wearing an aubergine, floral print blouse today that I’ll be able to wear with my black culottes and black patent booties. I don’t have a cocoon coat, but I do have a camel cape that will produce volume over volume. Thanks! Oh my word, Mary. SUMMER in Pasadena. Diana, you and me both. Marilyn, thanks for the Club Monaco heads up. Merwoman, you’re fast with this item compared to Fabbers. Generally, Fabbers are NOT into wearing wide leg cropped pants. FUN, zoiechic. Take yourself off to date night. YAY, Dana. Snap a pic for the forum. Super cool outfit! You’ve reminded me that I have cropped wide-leg jeans that I can look forward to wearing soon. I haven’t been wearing crops this winter. I know you’ve made them work with taller shaft booties and socks, but I don’t seem to have the right combination to put together a look I like that is warm enough. I’ll have to come back to this one! 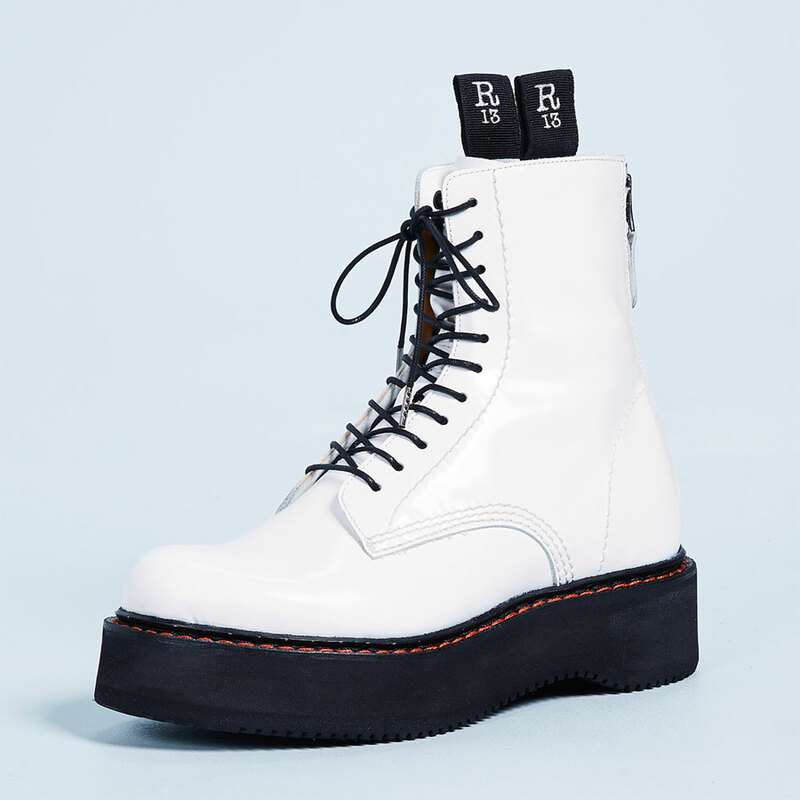 Love those Sonia Rykiel booties. I like this look in the more controlled versions– not so much the exaggerated runway looks with HUGE cocoon coats–but it’s hard for me to pull off without getting overwhelmed. So I like some of the options for tweaking for more structure. So I’ll probably admire this one on others. I love this. I will have to wait until I get home to try it. I am a die hard culottes fan. Oh I love this. I do similar but with summer weight coats. The light fabric stops it looking too boxy on my upper body. I’m going to try this tomorrow. I have black crop flares, boots, and a cocoon coat but no flowered top, so I’ll try it with my plaid tunic. We’re going to concert and I think this will work well. Thanks for the outfit inspiration. Beautiful! I kind of love that red floral top! with the cream booties, cream coat and red purse with cream scarf combo! Love the colors and details in this ensemble, not sure about the silhouette for me though ! Love this ensemble — and the blouses are eye catching and fresh! I’m interested in a pair of culottes for spring/summer, as they are the closest I can come to skirts with my job. I’ll have to play with proportions, though. This is such an interesting outfit. The shapes, the layers, the prints. A great nod to spring and this season’s maximal trend. Love this look, Angie! 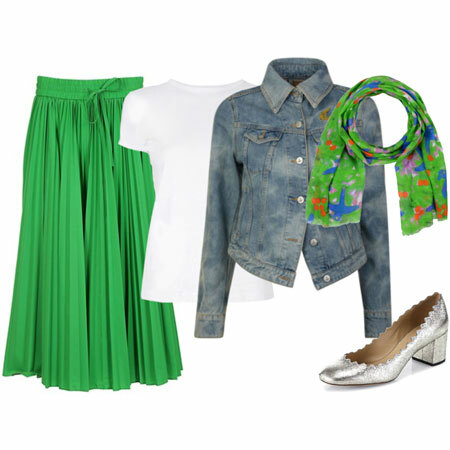 I do a similar look with denim culottes, a vintage floral top and a green Zara coat. It really works!